Do you feel that your employee cost is too high and value too low? 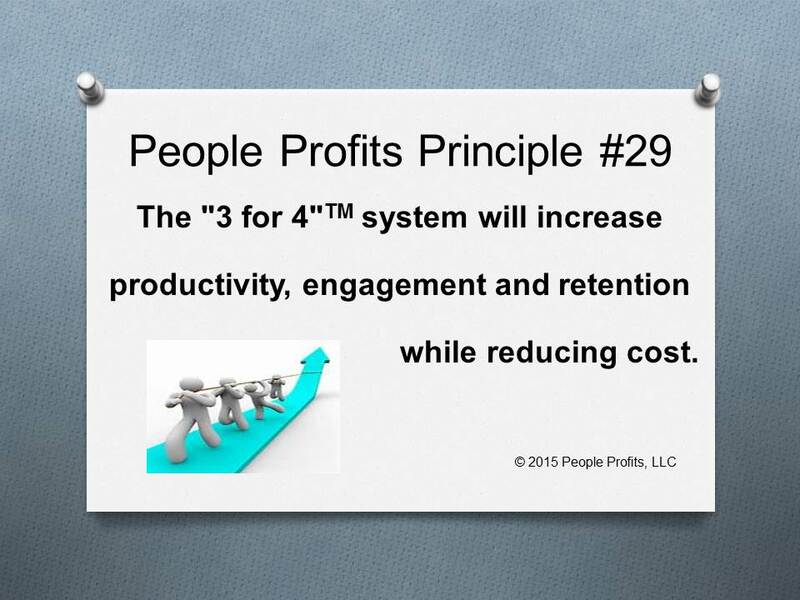 People Profits developed a system called "3 for 4"TM that we have used at multiple companies in various vertical industries successfully. It costs nothing to implement and achieves all the results outlined below. Employees consistently understand it and are engaged immediately. One modified version of the 80/20 rule states that 20% of the people do 80% of the work. This might be an exaggeration - but not by much. So how can you get all the benefits stated below, for less cost, while increasing retention and engagement? Let us show you how 3 for 4 works.